Clash Royale will be adding two new chests levels in the September 2016 update, the epic chest and the legendary chest. This is the first sneak peek to the September 2016 update. 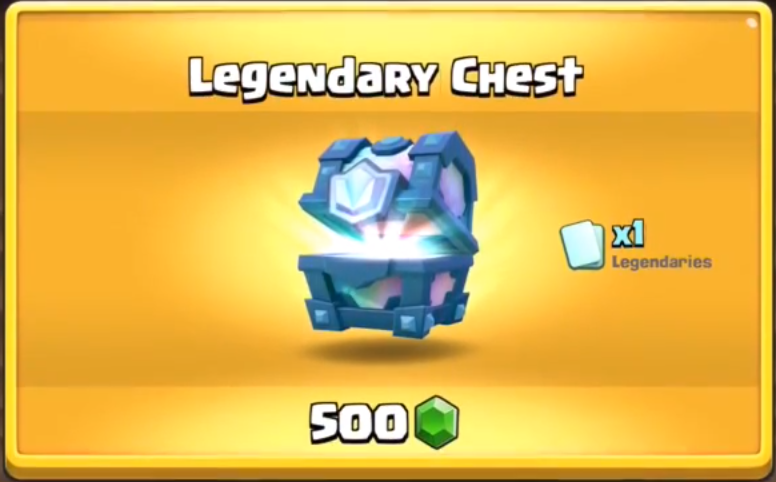 So these chests were completely unexpected but I think it will be cool to have new chests such as the epic and legendary chests in Clash Royale! Lets go ahead and go over these new chests in the next update! 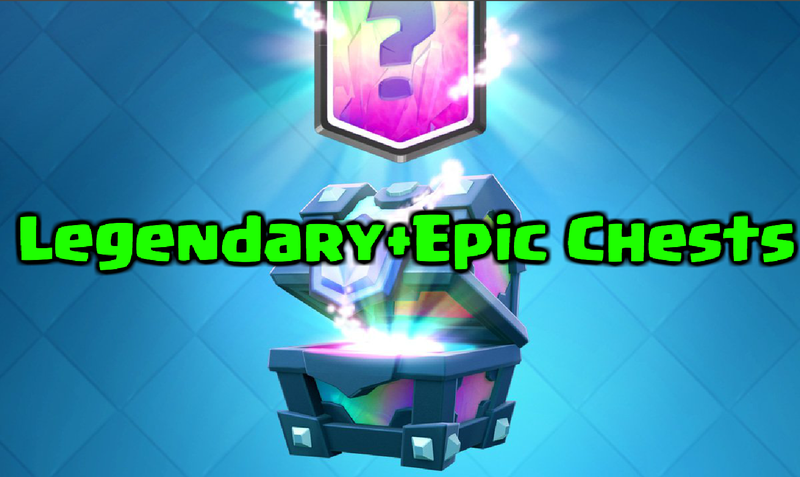 The epic chest is a neat idea- it only contains epic cards! However, you are only able to buy the epic chest in the shop which will be able to purchase at an unknown time and consistency. 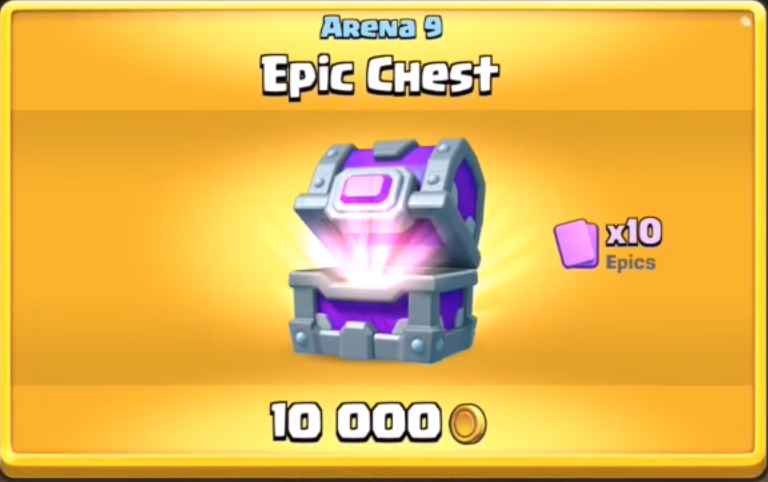 The epic chest will contain 10 epics and will cost 10,000 gold. So it is a better deal than buying epics in the shop since the chest has epics at 1,000 gold each. However, you won’t be able to control what the epic cards are. Legendary chests have, you guessed it, a legendary card inside. But that is it that legendary chests will have, one legendary and no other cards. They will also be available in the shop every so often, just like the epic chest will be. Instead of costing gold though, legendary chests will set you back 500 gems, which still makes it very easy to get a legendary card. Looks like legendaries will become a lot more obtainable! The main difference between this and the epic chest is that you will be able to win these in battle! So that is it we have right now about these new chests that will be coming to Clash Royale in the September 2016 update! Quite an interesting first sneak peek and we should still see some sneak peeks to come soon! Make sure to check back here soon to see any new update news for this Clash Royale update! Pingback: Clash Royale New Chests: Legendary and Epic Chests | Clash of Clans Guide, Strategies, Tricks and More!